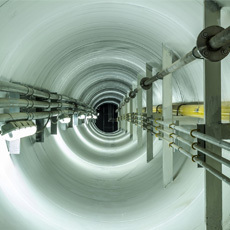 The Award for Working in Low Risk Confined Spaces at level 2 has been developed to allow learners to be assessed against a national standard where they can demonstrate practical skills and provide knowledge evidence that they are capable of working safely in a low risk confined space environment. A low risk confined space environment should have adequate natural or mechanical ventilation. Access should appear simple and unobstructed and there should be no likely risk of flooding. The Award for Working in Low Risk Confined Spaces provides the opportunity to develop or extend skills which should ensure that learners meet the requirements of the Confined Spaces Regulations 1997 Approved Code of Practice and guidance. The Unit specification that makes up the Level 2 Award for Working in Low Risk Confined Spaces has been designed to match the requirements of the Energy & Utility Skills National Occupational Standard EUSCS01. To achieve the Award for Working in Low Risk Confined Spaces, learners will need to successfully demonstrate their practical skills throughout the completion of practical assessments. The Award for Working in Low Risk Confined Spaces at level 2 requires the learner to complete 1 mandatory Unit (credit value 1).